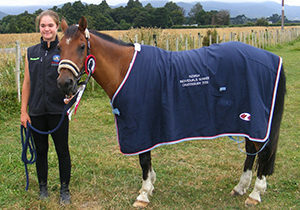 Kuranui College student Lucy Marshall is the 2019 NZ Mounted Games under fourteen champion. The title was achieved riding her pony Tommy at the New Zealand Championships were held over eight days in January at Christchurch. The first two days were the singles championship preliminary rounds with the finals held on the third day. Two days were then given to tuition given jointly by the New Zealand team coach and an Irish trainer. The Canterbury team championships were held over the last three days of the event. Lucy was a member of both the under seventeen and the open grade teams. Both teams won their competition. Jeremy Thurston from Kahutara riding Copper was a member of the winning open grade team and was chosen as a member of the New Zealand team . Jeremy was also a member of the New Zealand team which competed in America last year.